If the islands were a stage, the stars would be the animals. There are no castles, cathedrals, battlegrounds, or ruins of antiquity, at least not of the human kind. There were no human voices, of any language, except from our fellow voyagers. These islands belong to the animals. We were guests, and they could care less about our presence. I could almost hear them say, “You can be here. Just don’t step on us.” And, sometimes that is difficult. Tame, no. Fearless, yes. 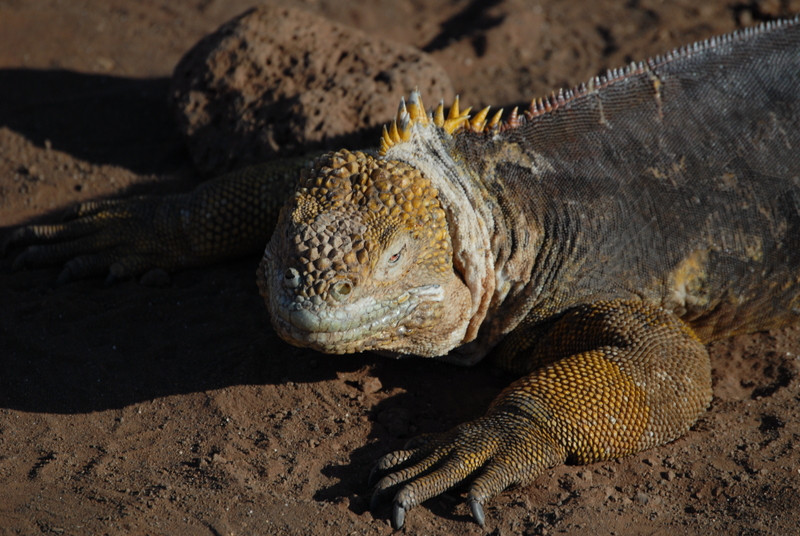 After all, there are no natural predators in the Galapagos, and most of the lava-laden islands are uninhabitable by the human kind. Note: click in any of my images to enlarge them to full size. 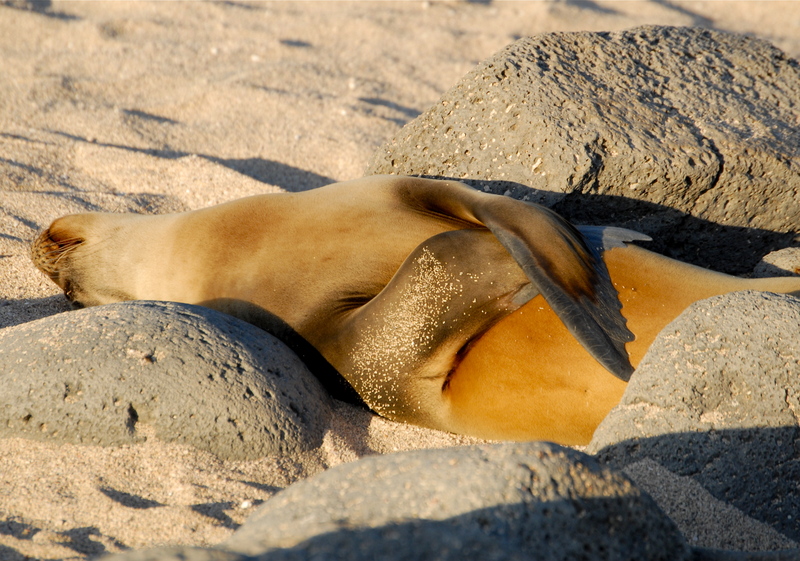 Photos copyright 2009, by Wilson Wyatt Jr.
A Galapagos sea lion naps in the sun..."Ahhhh, what a life." 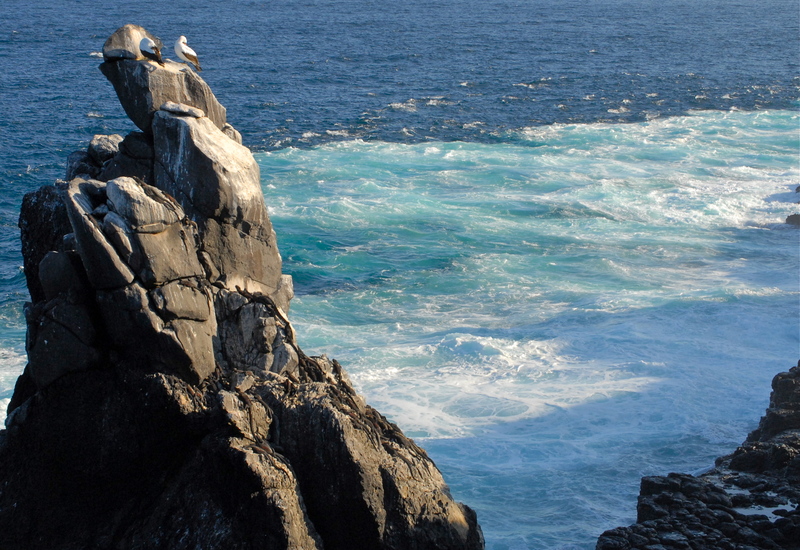 Each island has distinct smells of different animals. I didn’t see that in the guidebooks. 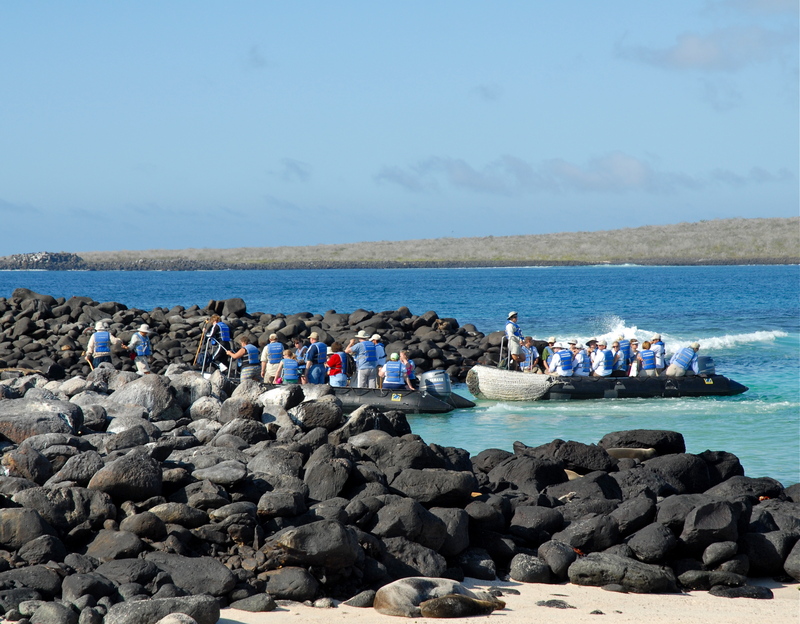 Instead, most visitors will read descriptions of the beauty and unchanged nature, “the mystery of mysteries,” of the Galapagos Islands, as Charles Darwin wrote in 1837. Darwin’s scientific “Origin of Species” was hardly a guidebook for today’s bustling groups of camera-toting “adventurers.” My wife, Katie, and I visited the islands for ten days on our anniversary, a commitment we made to journey to a special place each year. It was a magnificent trip, with a few surprises. 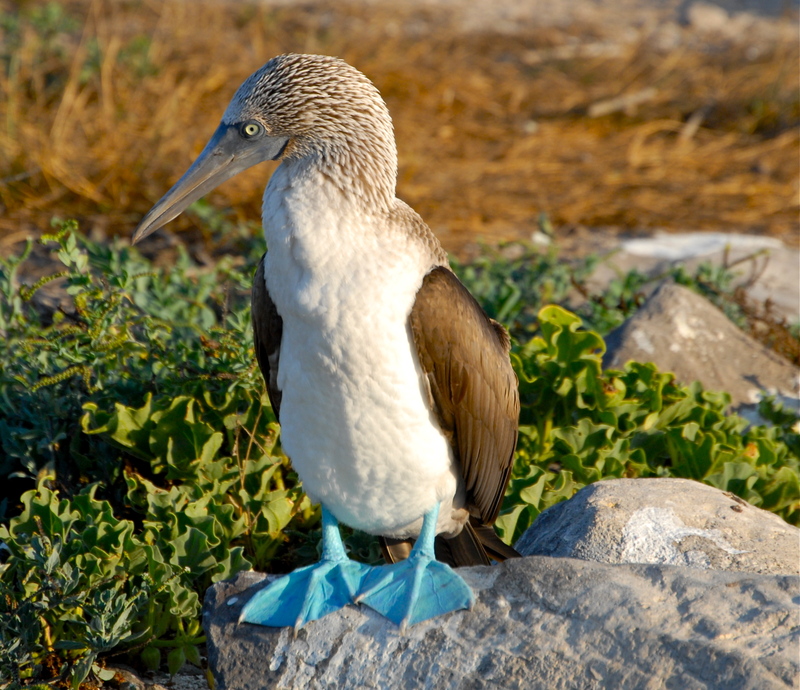 While all the animals of the Galapagos have unique qualities, the one we were most anxious to see was the blue-footed booby. Just mentioning the name draws chuckles. Pictures of them look cartoonish, like a Disney inspired cross between a very large seagull and a duck with vibrant-blue webbed feet. 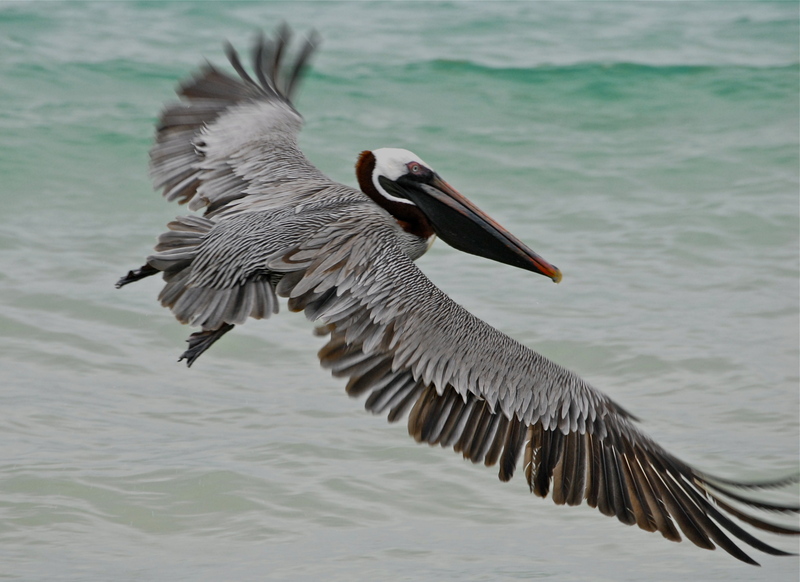 We also expected giant sea tortoises, iguanas, frigates, penguins, flightless cormorants, pink flamingos, and huge colonies of sea birds. We were not disappointed. When I think of visiting islands anywhere, I think of the beautiful colors of blues and greens that blend when land meets the sea. I also think of breathing in fresh salt air, hopefully unpolluted by any industrialized population. 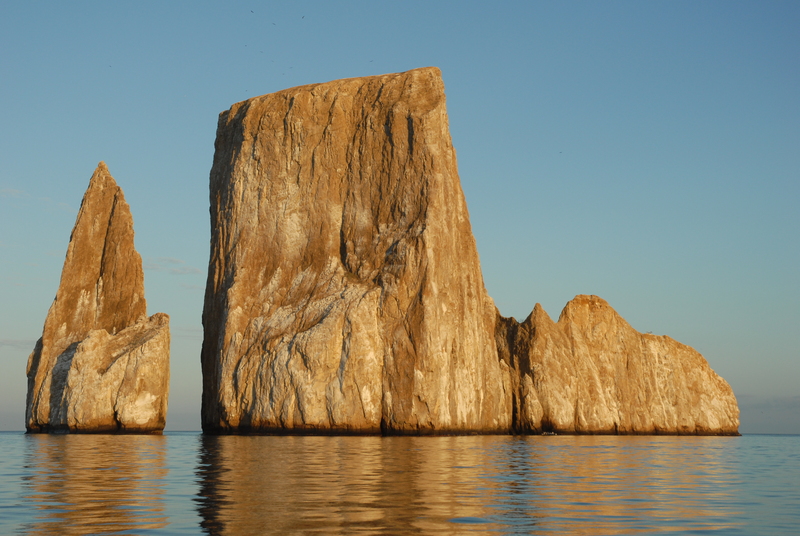 In the Galapagos, the beauty exists in abundance, created from green covered volcanoes, and outlined by graphite black lava rock, with occasional beaches of coral, or brown sand. Yes, there is salt in the air, as the islands are surrounded by the Pacific Ocean, with no mainland for hundreds of miles. But what we didn’t expect was the smell of the inhabitants, huge populations of animals. 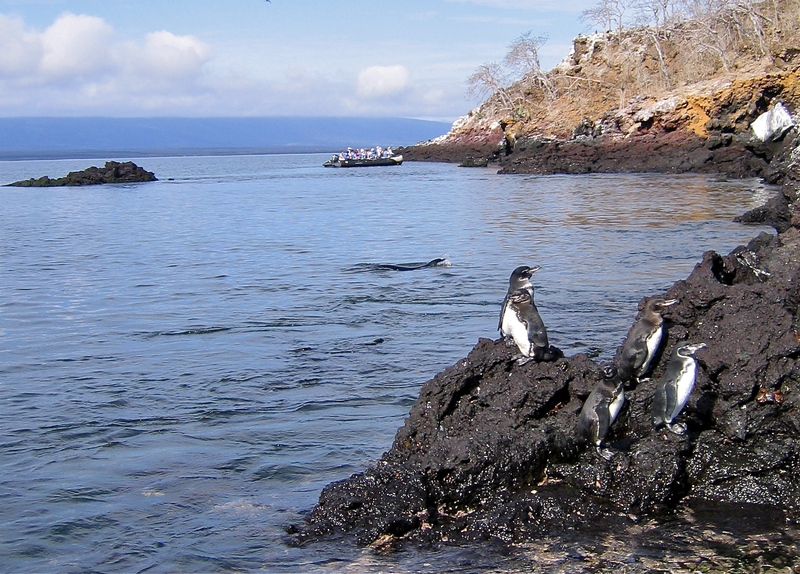 Each of the dozen or so islands had somewhat different communities of unique animal life, casting a distinctive smell over the island. 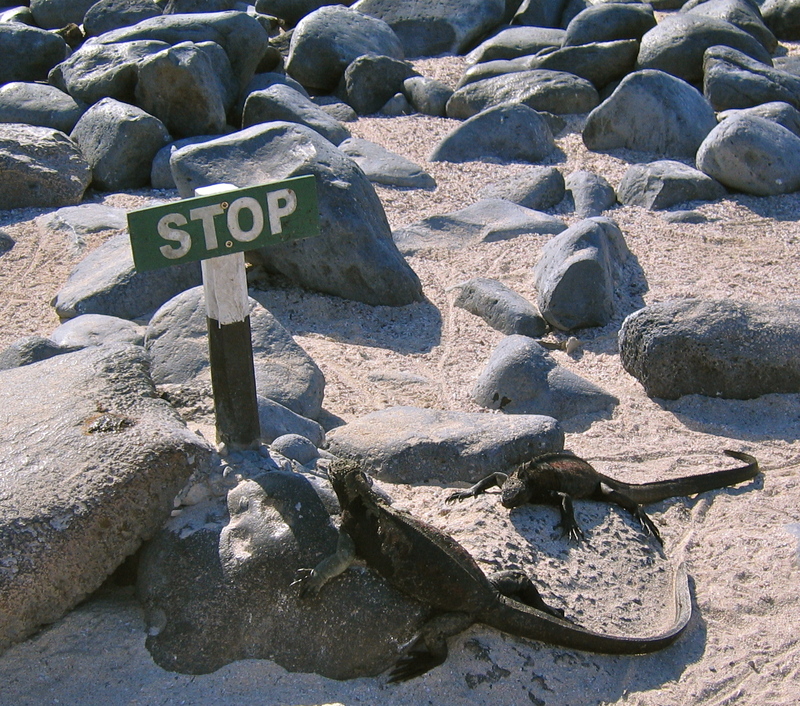 It didn’t seem to bother our hosts, the animals, so we learned to accept it. 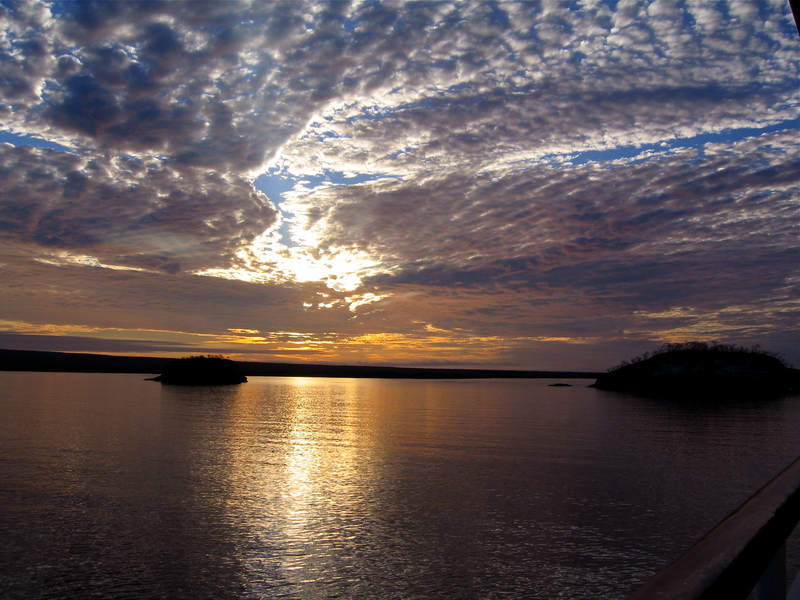 To get to the Galapagos, we flew to Quito, Ecuador from the U.S. This is how most travelers arrive. At almost 8,700 feet elevation, Quito is the second highest capital in Latin America. The air is thin and requires some adjusting. 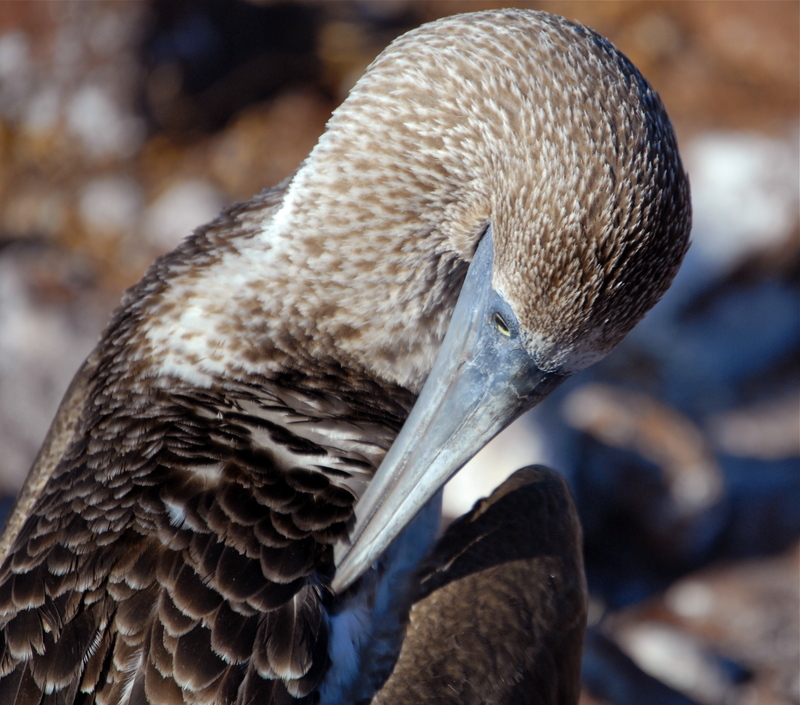 Just about everyone has to spend the night there, usually with an arranged tour, before catching the government-controlled airline flight to Baltra, located six-hundred miles off shore in the Galapagos Islands. The return to sea level was a pleasant change from Quito’s elevation. Baltra’s airport was resurrected from the remains of an old U.S. Military base used to protect the Panama Canal during World War II. With few luxuries, there was an airport shop selling hand-made, tourist keepsakes. Mini-buses whisked us off to Baltra’s wharf to be tendered to our ship. 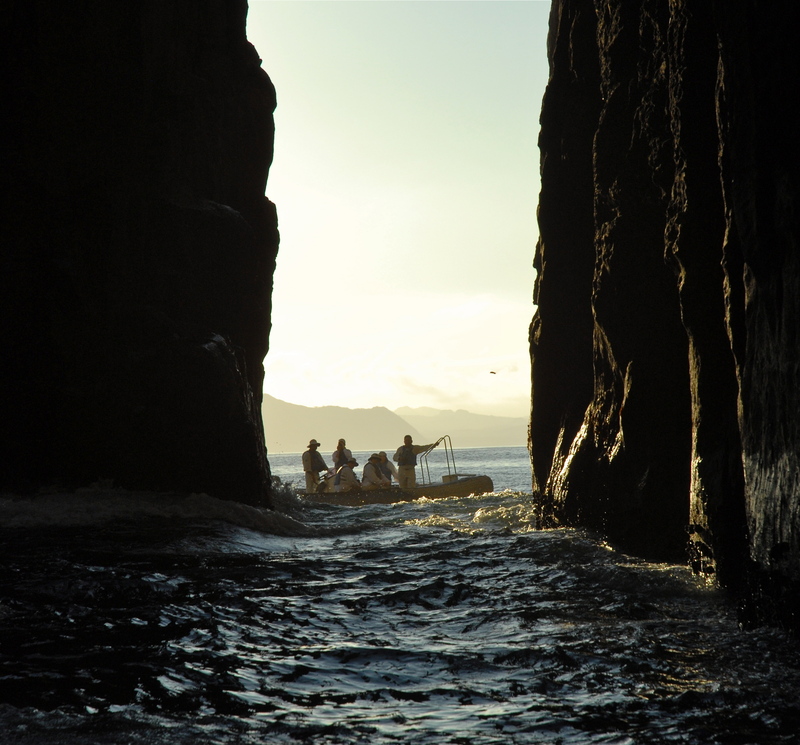 The only way to see the Galapagos is by boat, and all excursions are rigidly controlled by the Ecuador National Park Service, a fact that must be deeply appreciated by the animals. As we disembarked from the mini-buses and walked over to the wharf, we sensed our first whiff of animal greeters. Several sea lions were lying around for the afternoon. One large sea lion lay on the park bench, in the shade, by the path to the pier. Another one, much larger than I, lay across the path with his head cocked, staring at us, as if to say, “Hey gang, here come more tenderfoots.” He yawned, gowned, and rolled over on the path. We had to walk around him, in single file, stepping carefully, to avoid numerous piles of natural feces. 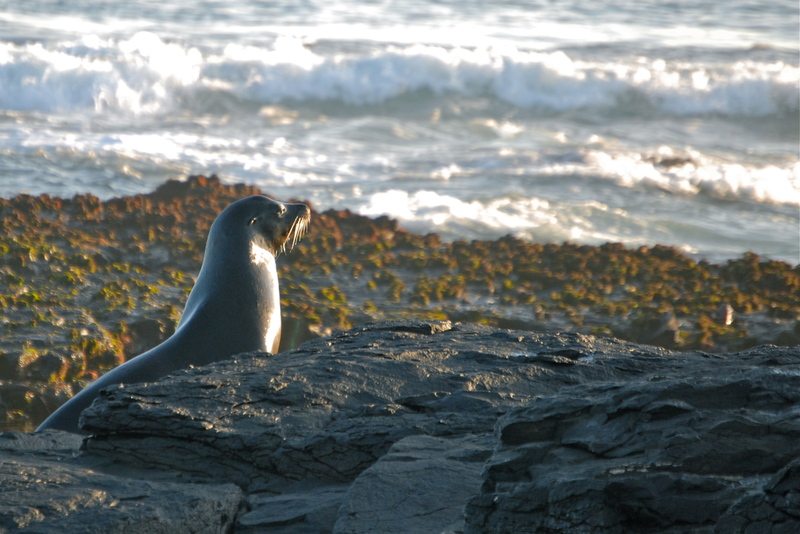 The 90-degree equatorial sun baked the sea lions’ thick coat, emitting a strong fishy odor, the precursor of things to come. Large Zodiacs with powerful outboard engines greeted us at the pier, which was slippery with remnants of the sea lions’ well appointed perch. We stepped carefully, boarded the boats and donned life jackets. Each Zodiac was equipped to carry 16 of us across the choppy waters to our ship anchored offshore. The vessel for our adventure was the Xpedition, an 80-passenger vessel owned by Celebrity Cruise Lines. It is one of the largest and most luxurious ships allowed in these waters by the Ecuadorian government. While all the passengers were outfitted in various forms of safari-looking gear and had the appearance of professional adventurers, the luxuries of Xpedition were welcomed every day of our trip. 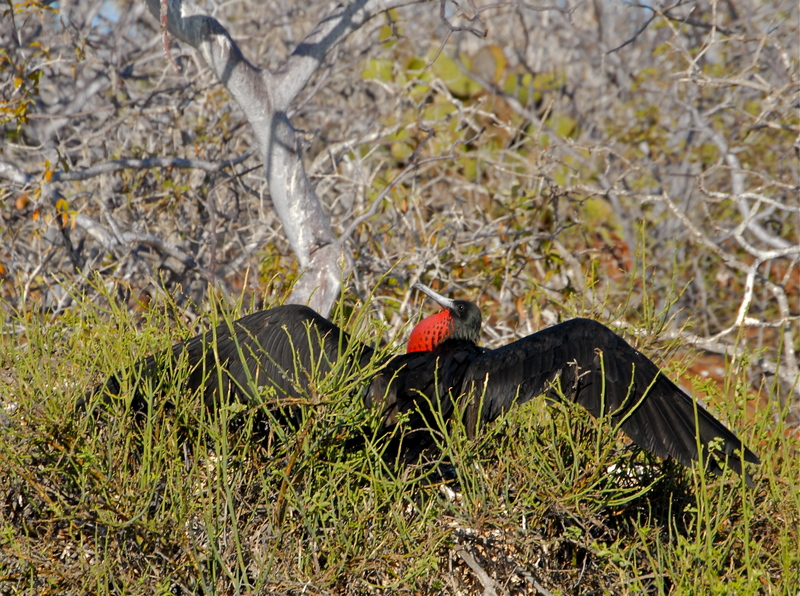 The first unique Galapagos bird flew low over our heads, as we tendered from the pier. 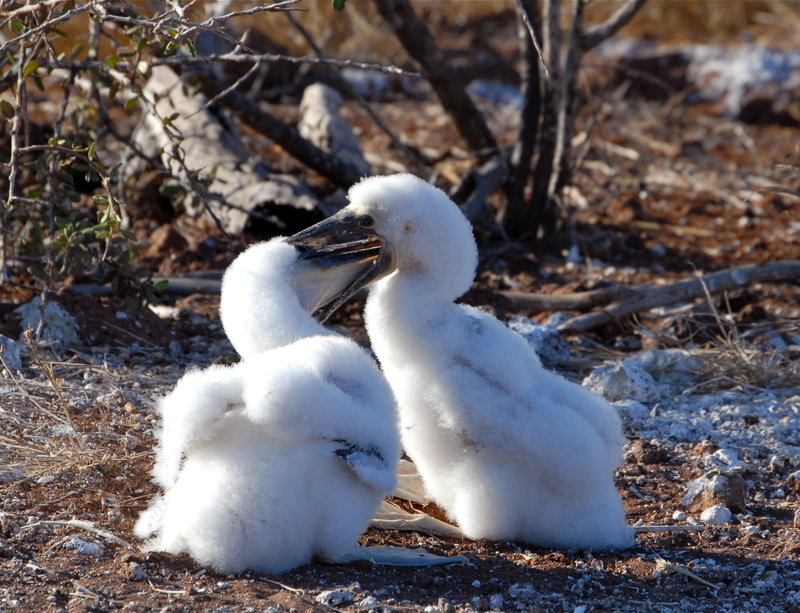 It was a blue-footed booby, with a four-foot wingspan, a brilliant white body, and long baby-blue webbed feet trailing behind. We all looked up with excitement. 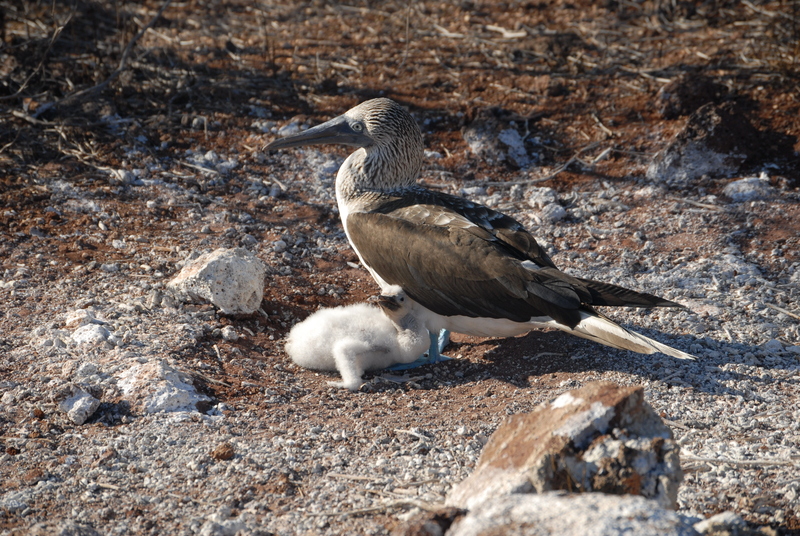 Our first blue-footed booby. I opened my camera bag and reached for my new Nikon camera, with a telephoto lens. I heard a “splat” and felt something wet and warm on my head. A large white mass dripped from my head down to my camera. I and my camera were officially christened. A trip of a lifetime that we will always remember. 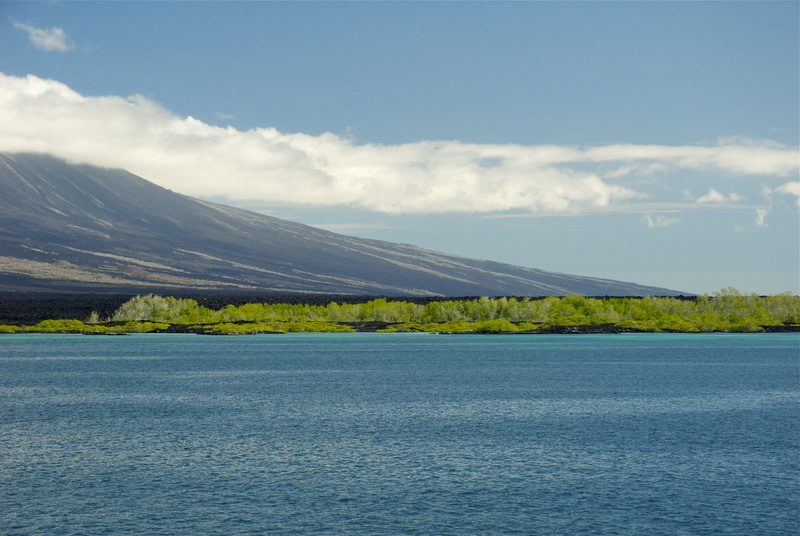 Your comment on my blog led me to find your blog and to feast on your description and pictures of the islands! I will revisit and read some more as time permits. Delightful! Your photos are are so beautiful and awe inspiring they bring tears to my eyes. Thank you for sharing. Thank you, Jalal. 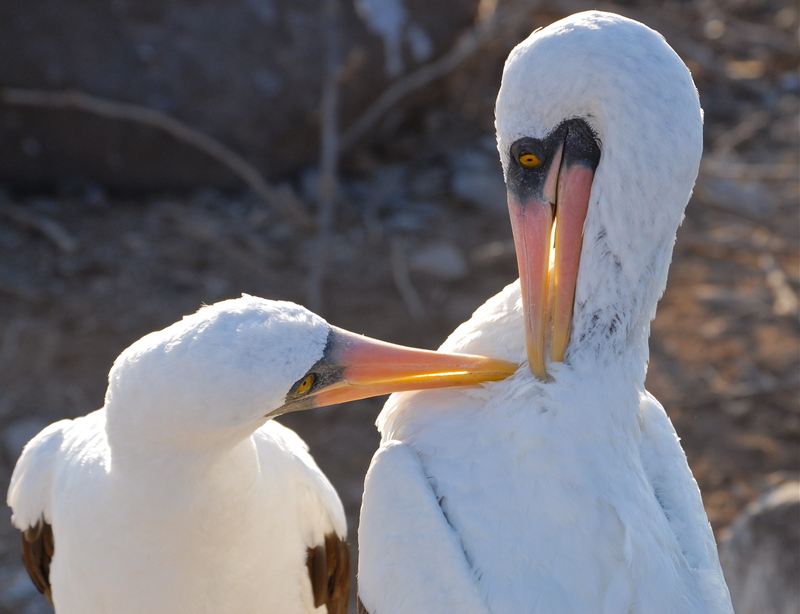 The animals of the Galapagos offer a special gift to photographers. It’s amazing, really. 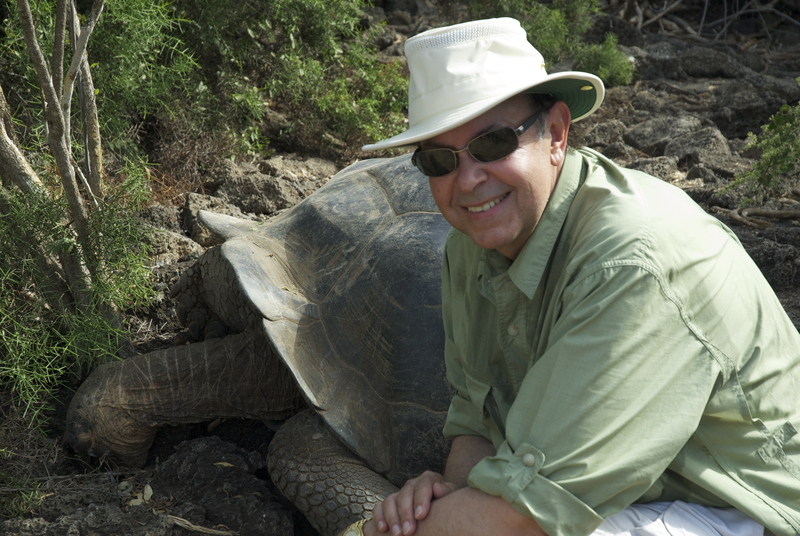 I often read some criticism about Ecuador letting too many people visit the Galapagos, but when we spent ten days there, I was impressed by how careful the government was to prevent crowds on the islands and protect the natural habitats of the animals. There are strict limits on how many visitors are allowed each year. We rarely saw another group on our hikes and photo shoots. There is no place like it on the planet…truly the trip of a lifetime.